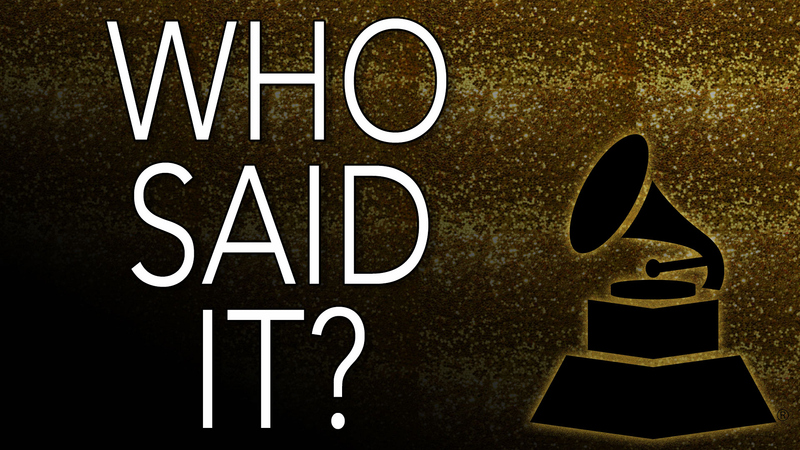 With the 2016 GRAMMY Awards coming up in less than two weeks, it's time to fine-tune your knowledge of this year's nominees because this quiz features quotes that either come from your favorite song or your favorite CBS show. Can you identify the line—or will you have to face the music? Don't miss Music's Biggest Night® when the 58th Annual GRAMMY Awards airs on Monday, Feb 15 at 8e/5p or stream the event live through CBS All Access.